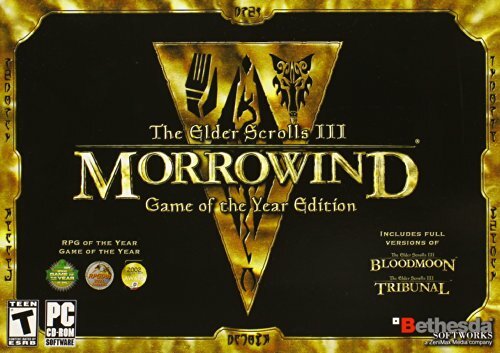 Get Morrowind: Game of the Year edition cheaply from Amazon. You too can earn money from writing articles by signing up for InfoBarrel. Some content copyright the Tamriel Rebuilt Team and Bethesda Softworks as applicable. Maps for quests in the Elder Scrolls III: Morrowind plugin Tamriel Rebuilt. Galseah is visited during the Helnim Fighters Guild quest Hunting Twilight. There are 23 Luminous Russula and 14 Violet Coprinus in the cave Credit: The Tamriel Rebuilt Team and Bethesda Softworks. (7) Corpse - This is attached to the wall and has a Bonemeal. (8) Chest - This is on a lower level and has a level 10 lock. It contains a attribute restoration potion. Crate - This contains 3 items of food. Wooden Barrel - This contains 15 Kwarma Eggs. Wooden Barrel - This contains 5 items of food. Three Barrels - These contain 20 ingredients. Barrel - This contains 5 drinks. Barrel - This contains 5 Saltrice. (12) Chest - This contains 12 potions. Three Urns - These contain 4 food. Urn - This contains 5 scrolls. Urn - This contains 3 ingredients. (15) Urn - This contains 4 food. Galseah Deep Caverns are visited during the Helnim Fighters Guild quest Hunting Twilight. Barrel - This contains 20 ingredients. Wooden Barrel - This contains 5 food. Chest - This contains 3 items of clothing. Dead Body - With equipment and random loot. (6) Corpse - This has Bonemeal. (a) is attached to the wall, (b) also has a low value item, a magical amulet and may have a wizard book and Gold. (10) Chest - This may contain 0 to 2 evil books, 0 to 2 levelled potions and a low valued item. (11) Crate - This contains 4 items of food. Urn - This contains 4 items of food. Chest - This may contain 0 to 2 evil books, 0 to 2 levelled potion and a low valued item. (15) Under the Hammock is The Spectrum Study which teaches the spell Pinprick. Chest - This has a level 45 lock and contains 0 to 10 ingredients, 0 to 2 books, 0 to 2 levelled potions, a potion or empty container and 0 to 2 low valued items. (19) Guuljhka - The Winged Twilight that needs killing for the quest Hunting Twilight. Guuljhka has the staff that also needs returning to Saruse Evenas for the quest. (24) Chest - This contains Gold. Wooden Chest - This contains 2 Quality Disease Resistance, 2 Standard Disease Resistance, Potion of Cure Poison, Potion of Cure Paralyzation, Potion of Cure Common Disease, 3 Bargain Restore Magicka, 3 Bargain Restore Health, 3 Bargain Restore Fatigue, 2 Bargain Disease Resistance, 2 Bargain Fortify Health Potion, Cheap Restore Willpower, Cheap Restore Strength, Cheap Restore Magicka, Cheap Restore Speed, Cheap Restore Personality, Cheap Restore Luck, Cheap Restore Intelligence, 5 Cheap Restore Health, 2 Cheap Restore Fatigue, Cheap Restore Endurance, Cheap Restore Agility, 2 Cheap Disease Resistance and 2 Cheap Potion of Fortify Health. Desk - On this is a Greater Soul Gem. Inside it are a potion or empty container and there may be a key, desk clutter, 0-3 ingredients, 0-2 wizard books and 0-3 soul gems.